January – 2012 – The Clutter Blog | You ARE Your CLUTTER. Celebrate it! 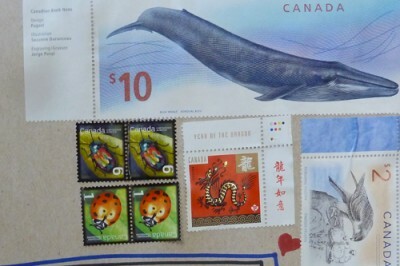 Why have I lugged this Whale stuff around with me for nearly 40 years? It’s bogging me down, collecting dust. What can I possibly do with it? If I were ruthless and serious about “clearing clutter”, I’d toss it into the fire without a pang of remorse. But it’s my history! 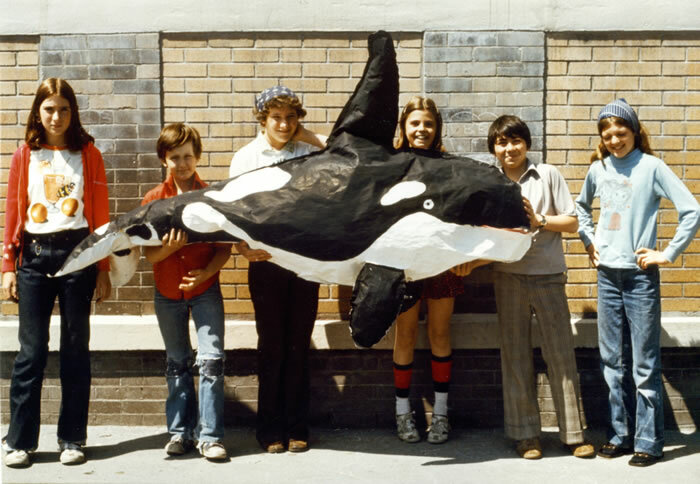 I taught children about whales in the forefront of the “Save the Whale” movement in the early 70’s. 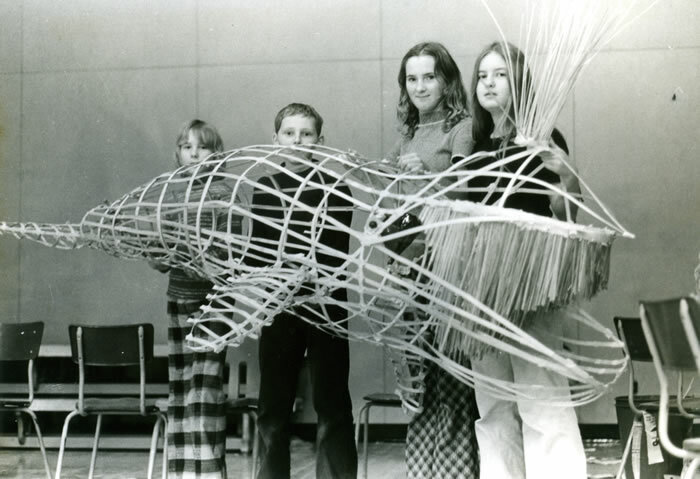 I designed exuberant Whale Workshops for children and collected their art and poetry that was published into a book in 1975, and made into a Smithsonian Travelling Exhibition that toured the US and Canada for 2 years. Is there any historical value to this? I am delving into one of my successes, and also lugging around unpublished work that is perhaps hopelessly out of date. What can I do? I am determined to go through this. Making myself a cup of hot ginger tea, I sit down by the fire, take a deep breath, and open a file. I am curious. What is here? It is like Christmas and the ghosts of winter’s past. What I find are copious notes from my Father in his distinctive handwriting, editing my manuscript for the revised Whale Curriculum I was writing in 1984. Dad, editing my manuscript? I had totally forgotten. Thank you Dad. Wherever you are, I love you and thank you. I curl up on my Shepadoodle dog’s bed and rub her floppy black ears affectionately. I wrap myself in thoughts of my complex, handsome Father while crooning love to my dog. My Dad’s ghost spirit is tangible, too, in my memory. There are more files holding Whale Workshop information from 1971 – 1975. I take another deep breath and open one. My Gosh! Up pops Martin Gerrish! 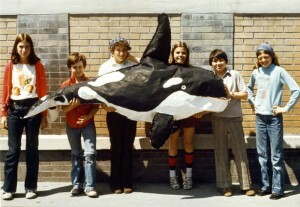 We taught Whale Workshops in Elementary schools for 2 years in Vancouver, BC. funded by the National Museums of Ottawa and the Burnaby Art Gallery. He was 22 and I was 35. 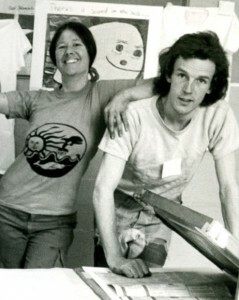 Those were the best teaching days of my life – working together with Martin and Carmelita Camillo. We combined science with the language arts to provide a rich learning environment for the children. Poetry, creative movement, art, myth combined with biology of the hugest creatures ever to have inhabited the earth. We spent three weeks in each classroom, teaching Kindergarten Children through Grade 7. The children were eager to learn about whales and were proud of their work. And here are letters he wrote me from Anna Halprin’s dance workshops at Mt. Tamalpia, CA. I knew Martin had moved back to England, and was eager to talk to him. Google and the Internet are fantastic in tracing people. Martin answered the phone! We haven’t spoken in nearly 35 years. What a surprise. What a treasure, catching up on each other’s lives. Memory stirs in the rich soil of my past and awakens the branch where Martin lives. I put together copies of photos from our teaching days, and all the letters he wrote me, and mailed them to him – complete with a gorgeous $10 Blue Whale Canadian stamp. So, have fun. Pause, and celebrate who you were and who you’ve become along the twisting road of your life. Clear the cobwebs, clear the space, revisit your past and nourish the positive influences. Embrace yourself even in your hesitations and mistakes. You survived and are fine.